Having said that, Martin was kind enough to notice me as a publisher in the mental health publishing industry and wanted to know my thoughts on his book High Tide, Low Tide, and so here they are! How Can You Be a Good Friend, When Your Friend Lives with Mental Illness? 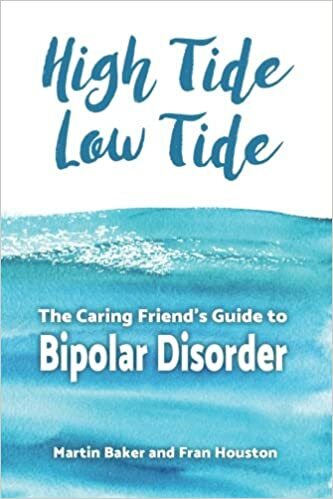 “High Tide, Low Tide: The Caring Friend’s Guide to Bipolar Disorder” offers no-nonsense advice from the caring friend’s point of view, original approaches and practical tips, illustrated with real-life conversations and examples. Perceptive, informative, interesting, educational, touching, and valuable, this book stresses the importance of a support system for those who struggle with mental health difficulties. I can’t stress enough, having my own lived experience with mental ill health in the family, how important and effective it can be to have a strong support system around you. What’s interesting is that Martin was able to provide this for his friend, despite the fact that he lives a long way away from her. I was genuinely impressed – and I admit, a little bit surprised – by this book. I’m always really wary of self-help type books that aren’t written by industry experts in case the author accidentally gets something wrong. But everything I read was right on the mark. The book is insightful and very emotionally intelligent, without patronising the reader or the people the reader is looking to support. It gives brilliant advice, and not just tangible step-by-step goals, but emotional, mental and friendship advice too. High Tide, Low Tide is so unique in that it caters towards friends, rather than just partners or family. It also comes from a unique angle in that Marty provides support for Fran despite living in the UK, whereas she’s in the US. It’s a nice proof that anyone has the capacity to be as helpful a friend as their own life allows or has space for. In that way I think it fills a gap in the market. The book is very insightful. It makes you come to realisations about the human psyche and the dynamics of friendship that you never knew you always knew – until you read it in Marty’s words. For example, he talks about how setting certain boundaries is vital, how not to fall into co-dependency, and that just because a friend really wants your help or asks for your help, doesn’t mean you have any obligation to do it. I was relieved to read this, because Marty admits himself that he and Fran talk twice daily, that he has a very, very big part in her life despite their living oceans apart. He knows her friends, medical professionals, and knows about her daily routine and wellness plan. I like the fact that Marty doesn’t expect you to have such an intense involvement in your own friends’ lives, because I know I certainly found it to be quite full-on. I will say that if you read this book, don’t be put off if you can’t do as much as Marty is able to do for Fran. Even at one point he is able to put her thought and behaviour patterns into quite elaborate analogies. He refers to the variables in Fran’s life as ‘sine waves’ and is able to help her understand herself and her life using this analogy. While it’s so useful for readers to be given this analogy so that they can use it in their own lives, I would advise readers not to feel out of their depth if they can’t give this level of insight to their own friends. It’s quite in-depth and I think this is where Marty goes above and beyond, probably above and beyond what some people can manage. I did wonder from time to time about Marty’s role in Fran’s life. At one point he puts it upon himself to remind her, during a manic phase, that she shouldn’t be driving recklessly or smoking in a wooden house. I found this to be such a fascinating dynamic because, in my own therapy sessions with my sisters, I’ve been told over and over again not to ‘parent’ my sisters. Our relationship should be adult > adult not parent > child. And I gave it some thought and wondered whether mental illness changes this concept at all. Is it okay for Marty to sometimes become the ‘parent’ figure (in my own perception – he doesn’t use this terminology himself. He might not even see it the same way I do.) I think in this case, yes, and here’s why: because Fran tells him to ‘care, not to worry’. And I think that’s what stops him being the ‘parent’ figure. He just cares about her safety, as her friend. Is he not worrying about her or bossing her about, he’s just looking out for her as a friend. I was also pleasantly surprised that the book didn’t leave any stone unturned and yet it’s not unbearably long or dense. It’s easy to read, accessible, and very well written and edited. It covers some important points that I knew I wanted to see going into it – especially the concept of self-care for the person providing the support. It’s absolutely vital for people who support others with mental health difficulties to look after themselves too. I speak from experience: unless you look after yourself too, you burn out and actually risk your own mental wellbeing. The book is into easy-to-read sections, giving an insight into Fran’s life, Marty’s life, and their relationship. It also talks more broadly about bipolar disorder (the different types, with explanations of depression and mania) and other, more universal topics that relate to everyone in terms of mental health. The book is not prescriptive, which is so valuable. It advises, rather than instructs. Marty often uses the words ‘I recommend’ rather than ‘you should’, and always reminds you that it’s up to you and your friend how you navigate your relationship in unsteady waters and uncharted territory. He’s just giving you some advice that might help for you. 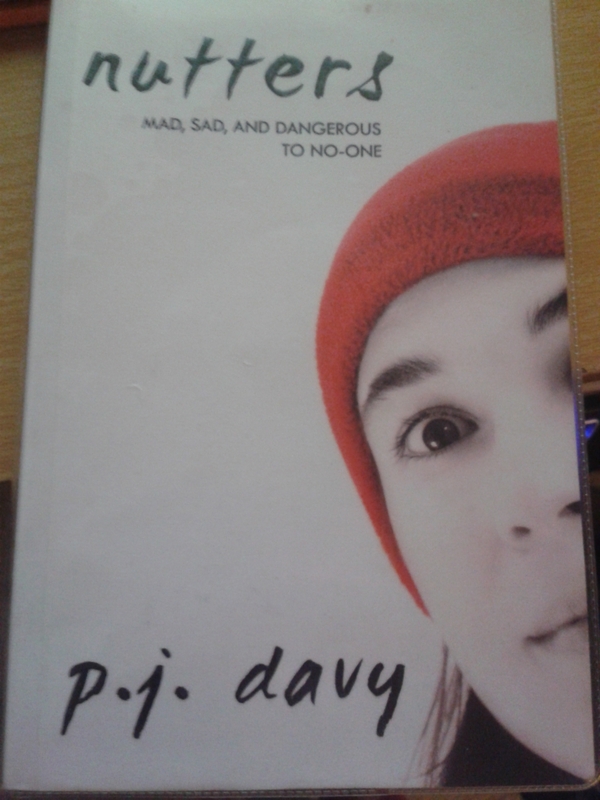 The only thing I think I would change about the book – and it was very hard to think of anything, to be honest – is that I would take out the list of the names of bipolar disorder medications and the long descriptions of what they are. I think there’s always a risk of people reading this sort of thing from anyone other than a medical professional and deciding for themselves what medications they should or shouldn’t have. I’ve even heard of people reading up on medications and then going to the doctor and demanding medicines that really wouldn’t actually work for them personally. I think discussions of medications should be confined to conversations between a psychiatrist and the patient, and if they’re given certain medications, the psychiatrist should be providing them with all this info anyway. I don’t really see any benefit to that section, but that’s genuinely just my opinion. I was honestly very impressed by this book – and I know what I’m talking about, as a mental health publisher. If you’re supporting someone in your life with bipolar disorder, this book would be invaluable for you. Don’t hesitate to give it a try. It’s a gem of a book. You can buy a copy of the book here. A successful electrical engineer until illness struck, author and photographer Fran Houston has lived with bipolar disorder, chronic fatigue syndrome, and fibromyalgia for over twenty years. Fran lives in Portland, Maine, and is passionate about making invisible illness visible. Three thousand miles away in the north-east of England, Martin Baker is an ASIST trained Mental Health First Aider and Time to Change Champion. A member of the National Alliance on Mental Illness, Mind, and Bipolar UK, Martin is also Fran’s primary support and lifeline.